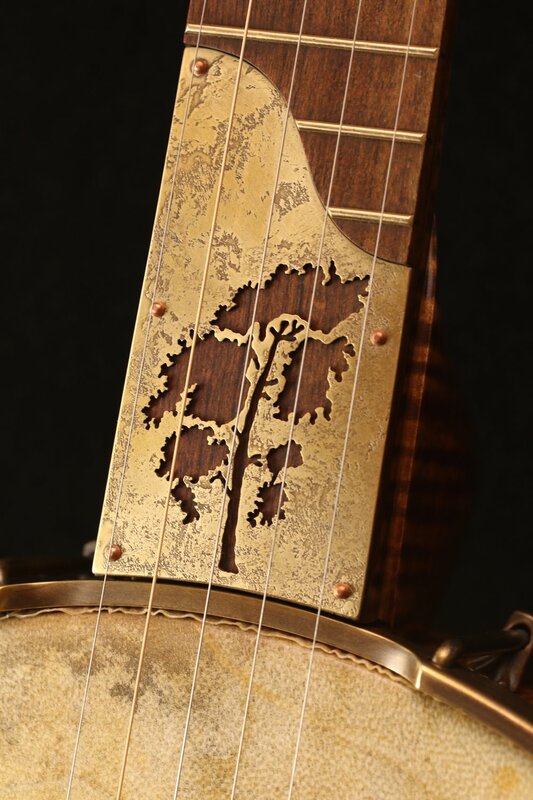 Many of our banjos use metals, especially brass, copper and silver, as surface "onlays". We are taking a very old ornamental idea and bringing it into the new with our innovative approach, and are proud to be the first among the modern builders to do this. These metals can have decorative designs cut out and can be stacked for a three dimensional quality. 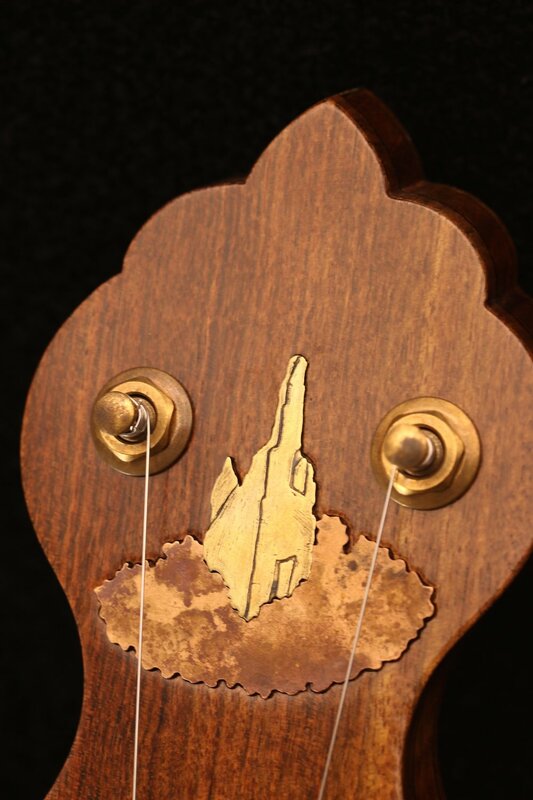 We attach our onlays using nails or screws with placements on the peghead (front & back), scoop, heel or rim of any banjo. 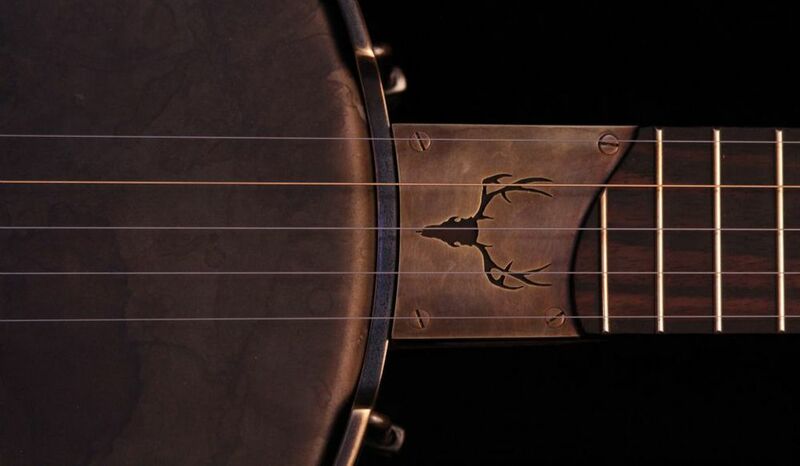 We are also using acid etching create highly details and textured designs; we're always trying out other ways of distressing and aging to create different outcomes. 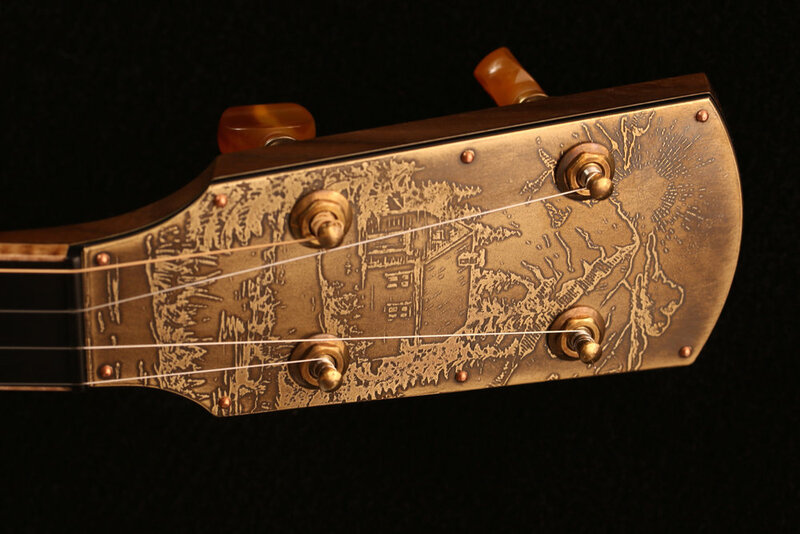 Decorative metal work can be combined with wood and shell inlays. These are just a few examples of our decorative metal work.